Rowan made all the decisions about what we did yesterday and when. 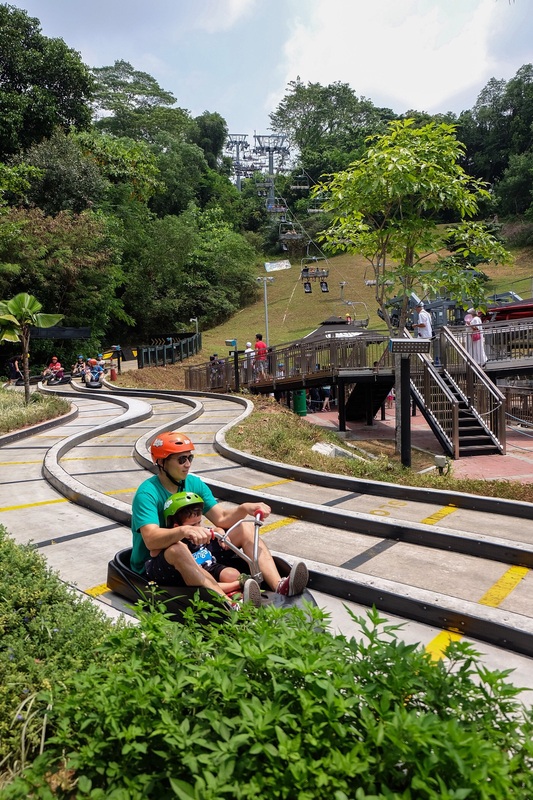 We started off with taking a chair lift up to the top of Sentosa’s luge hill, picking out our helmets, getting into our luge cars and racing down together. Rowan rode with me on our first race and we beat Kevin down the “Jungle Trail”, the shortest of the two race tracks, by at least a few lengths. For the next race we chose the “Dragon Trail”, which had more twists and turns, and we got to go even faster! For our third and final ride we did the Dragon Trail again and Rowan and I raced Kevin, along with some other racers, and we had an awesome time weaving in and around everyone. 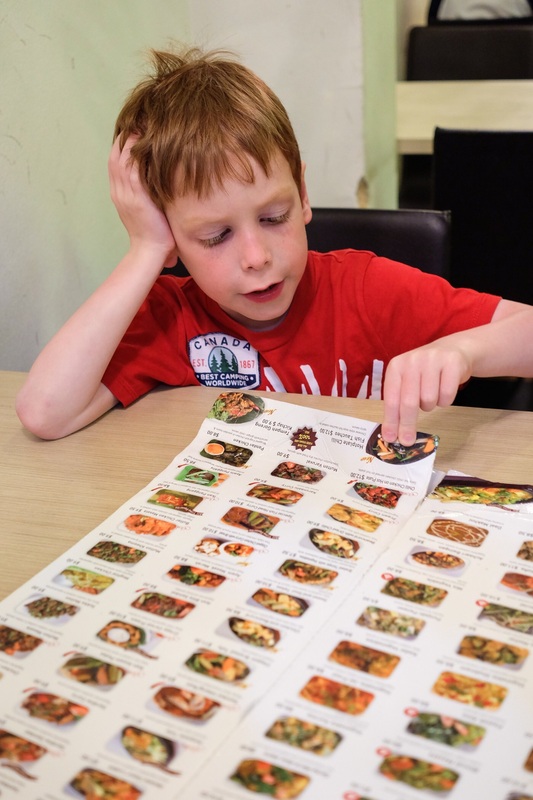 We had a quick, air-conditioned lunch at a restaurant near Siloso Beach that specializes in Malaysian, Chinese and Indian food, which was just what we needed. 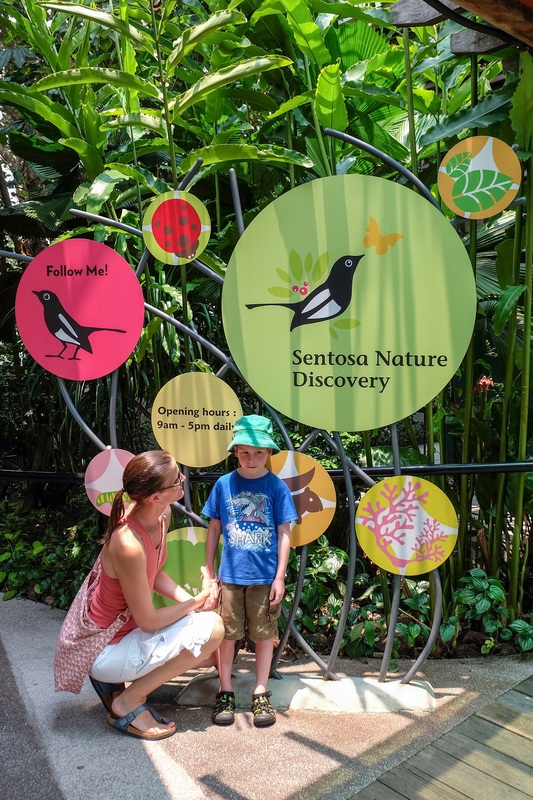 Especially since Rowan next took us for a short hike at Sentosa’s free nature walk. It’s a ½ hour trail through the tembusa tree jungle, with information posts along the way that tell you about the animals and plants in the area. We saw or heard lots of insects like cicadas, ants, spiders and beetles. We also saw a squirrel scampering up a tree, chirping at us the whole way. Even though the jungle walk was almost entirely shaded by trees and vegetation, we were still super warm and sweaty, so Rowan decided we should go for a popsicle and a swim at the hotel pool. He practiced swimming some more, but probably ended up doing more cannonballs than anything else. 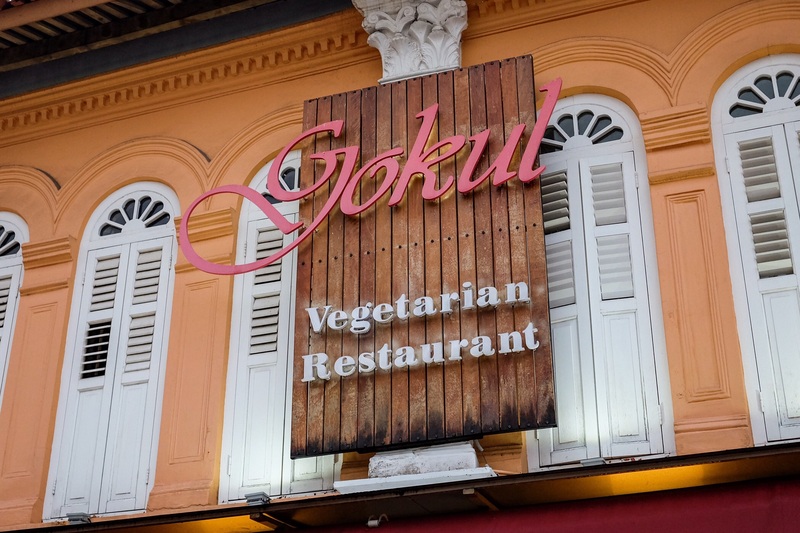 After showering and waiting for the rain to stop outside, we got dressed and headed on the MRT (subway) into Singapore for dinner at our favourite vegetarian restaurant, Gokul (which we wrote about, here). We all had amazing noodle soups, spring rolls and roti prata, which I’ve decided I would be tremendously happy to eat every day. The air was cooler and less humid after the rain, and we enjoyed walking through the busy neighbourhood. There are no traffic lights or stop signs on the small streets – and in some areas, no sidewalks – so pedestrians share the road with cars and trucks. Everyone is pretty careful, though, so no one had any problems. We ended up at a small outdoor restaurant that we’d been to before, where Kevin and I shared a drink, and Rowan played Angry Birds on my phone for a bit. We loved sitting outside, enjoying the warm night air, and the noise of the street and the people all around us. 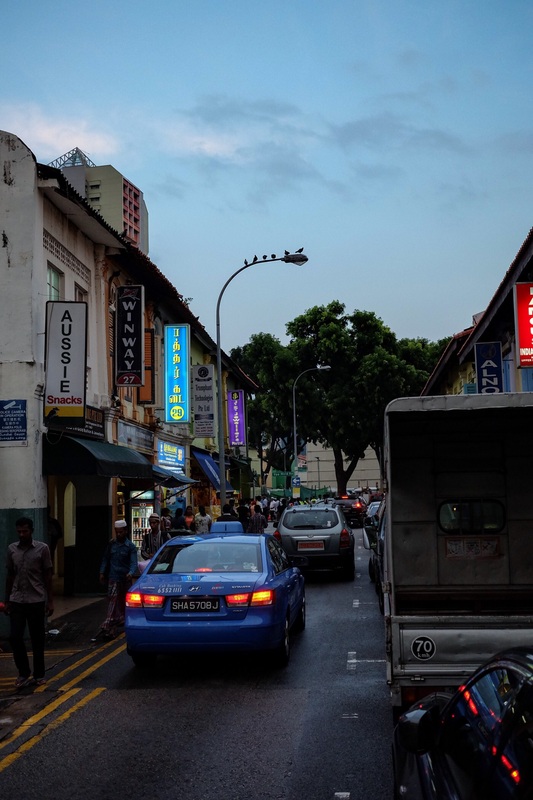 We were smiling and happy in our flip flops, taking short cuts through the streets of Little India to Bugis station, back to Sentosa, and a good night’s sleep.